It probably seemed to his fans that Daniel Radcliffe had everything going to him, but he has recently admitted that he used alcohol to help him deal with his fear of failure, even at the height of his fame. 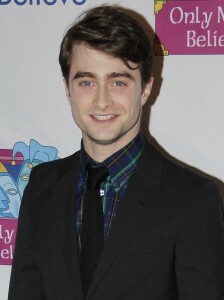 During a recent TV interview, he described turning up to film Harry Potter still drunk from all-night drinking parties. Daniel has since given up alcohol completely (he stopped drinking in 2010) because he realised it was going to lead to more problems for him. Daniel Radcliffe was jettisoned to fame in 2000 when he landed the role of Harry Potter. He was only 11 years of age at the time, and he became the most famous child on the planet. There were eight other films in the Harry Potter series, and he continued to make them until he was almost twenty years of age. The fact that his name was so associated with this brand meant that he became fearful that he would not have a career afterwards. He coped with this self-doubt by turning to alcohol, but this only made things worse. He also felt a lot of pressure because of all the attention he was getting, which gave him further reason to turn to substance abuse for comfort. Unlike many other celebrities, Daniel’s drinking problems did not make the front pages at the time. He was high functioning enough to be able to keep things out of the public eye, and he was able to quit before things got too out of control. Daniel just realised that drinking was doing nothing to help him; that it was only making him feel more afraid and miserable. Therefore, he made the wise decision to quit. The fact that Daniel Radcliffe felt so fearful of failure even though he was doing so well in his career may have been due to imposter syndrome. This is a type of thinking that successful people can experience when they do not feel deserving of their fame; they can be just waiting for somebody to come along and take away their success. Imposter syndrome differs slightly from low self-esteem because the person still manages to do the work necessary to achieve great things. It is more that they do not feel as if this success has been earned properly. It is fairly common for individuals dealing with imposter syndrome to turn to alcohol for comfort. Drinking definitely does not solve the problem, but it means the person temporarily stops caring about feeling like a fraud. In the beginning, the person feels like he or she is in control, but it is not usually long before problems associated with alcohol abuse begin to appear. If the person is not able to stop at this point, or they are too in denial to see the danger, it is easy for them to slip into physical addiction. Daniel Radcliffe was able to recognise his lack of control, and this scared him enough to make the necessary changes to his life. If he had of continued drinking, it would have almost certainly led to a great deal of suffering and pain. He has been able to find continued success after the end of the Harry Potter series, but this might not have happened if he was not able to stop drinking. He appears to be much happier and in control of his life now, so the decision to quit was certainly a good one. There have been some tragic losses to celebrity addiction in recent years but Daniel Radcliffe is definitely one of the success stories of how people can turn their life around. How Does AA Sponsorship Work?